Kemble, ON – (September 7, 2017) – The Cobble Beach Golf Resort Community is proud to once again host the Cobble Beach Concours d’Elegance. The event is scheduled for Sunday, September 17th and runs all day. As Canada’s most prestigious classic automotive show, the Concours d’Elegance has become a renowned event in the classic automobile community, drawing vehicles and people from around North America. Each year thousands gather on the shores of Georgian Bay at the Cobble Beach Golf Resort Community to view impeccably maintained and restored vintage vehicles. With 19 judged classes, the event includes vehicles dating as far back as the 1900s. This year the event will include vehicles from over 5 provinces and 13 states. 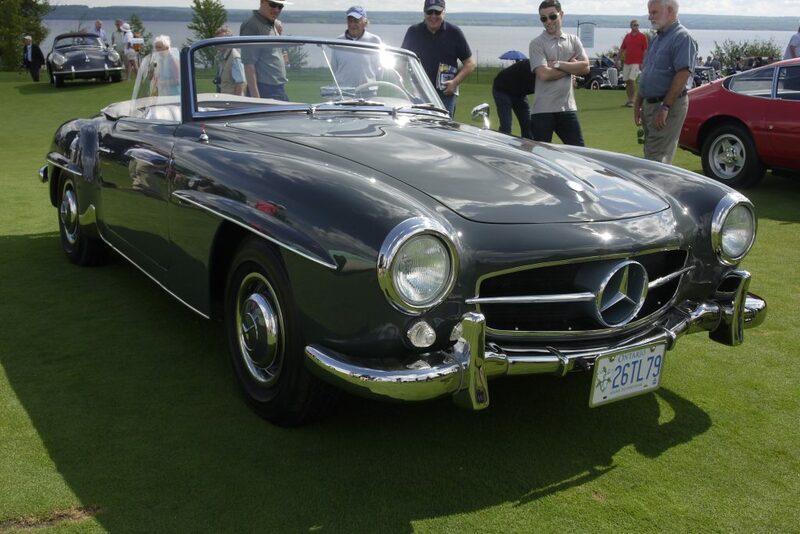 As Canada’s Premier Concours d’Elegance, the event has drawn cars from coast to coast. Vernon Smith from Swift Current, NL has made the trip to Ontario, over 3,000 km, to show his vehicles for the last three years. “In my opinion, this event has gained momentum and it can rub shoulders with all the USA Concours,” said Mr. Smith when asked why he attends the Cobble Beach Concours d’Elegance. And from the other side of the Country comes the Canadian Coasters, a group of automotive enthusiasts who have spent the summer driving from Victoria, BC to St. John’s, NL to celebrate Canada’s 150th anniversary. Six of the Coasters will be stopping to show their vehicles at the Cobble Beach Concours d’Elegance on their trip home. Howard Anderson, another Canadian, is travelling from Calgary, AB with his 1932 Pierce Arrow Series 54 Convertible Coupe. The event reaches outside of Canada and has brought vehicles from all over the United States, including California, Florida, Alabama, Georgia and more. Dan Bishop will be travelling the furthest of all the participants and will bring his 1970 Chevrolet Chevelle LS5 from Redlands, CA. Mr. Bishop will travel over 4,000 km to take part in the event this year. It is not only the participants who travel long distances to take part in the Cobble Beach Concours d’Elegance. The Judging team is made up of experts from 9 provinces and 14 states. The Chief Judge, John Carlson, has created a diverse team of Judges who each bring their own experiences to the Judging process.